Bonny G. Smith’s The Heart of the Dragon is NOW AVAILABLE FOR PURCHASE on Amazon! The Heart of the Dragon is the story of Eleanor and Victoria Robinson, a mother and her young daughter, two Americans vacationing in Hong Kong, The two women are abducted by a corrupt customs official and sold to an evil doctor, through whose clinic pass hundreds of trafficked women and children each year. Juxtaposed against the horrible plight of Eleanor and Victoria are the desperate efforts of two Interpol agents, Gabriel Benson and Nasih Kubasi, who struggle against a closing window of time to interpret a handful enigmatic clues as to what has become of the two women. A mysterious coded list of possible transfer points and a list of Swiss bank accounts are the only clues the agents have to go on; the two men always seem to be one step behind in their frantic effort to rescue Eleanor and Victoria. From Washington and Hong Kong, the story wends its way through China, Vietnam, Thailand, Malaysia, India, Egypt, and finally, to its heartbreaking climax in Morocco. In The Heart of the Dragon, two lives hang in the balance and Gabe and Nasih cannot afford to make any mistakes. Bonny G. Smith’s The Seven Diamonds is NOW AVAILABLE FOR PURCHASE on Amazon! The Seven Diamonds is the story of Emily Stewart, a young nurse who is raped by seven Oxford medical students. Denied justice, she seeks her own revenge. Emily leads Gabe and Nasih on a global chase to catch her before she murders all seven of the Seven Diamonds, the name of the secret society to which the medical students belonged while at Oxford. Emily’s quest for vengeance takes her around the world to Turkey, South Africa, Egypt, Ethiopia, Canada, Argentina and Brazil, with Gabe and Nasih in her wake. Will they be able to stop her before she finds and kills all of the men who raped her? This tragic tale of an unlikely global serial killer reaches its exciting climax in Rio de Janeiro; the heart-stopping conclusion takes place atop breathtaking Corcovado Mountain, in the shadow of the giant Christ the Redeemer statue. Juxtaposed against Emily’s plight is the continuing story of Eleanor and Victoria Robinson, which began in the first book in The Interpol Series, The Heart of the Dragon. THE NYMPH FROM HEAVEN – The First Book of THE TUDOR CHRONICLES is NOW AVAILABLE FOR PURCHASE on Amazon in both Kindle and Print versions! 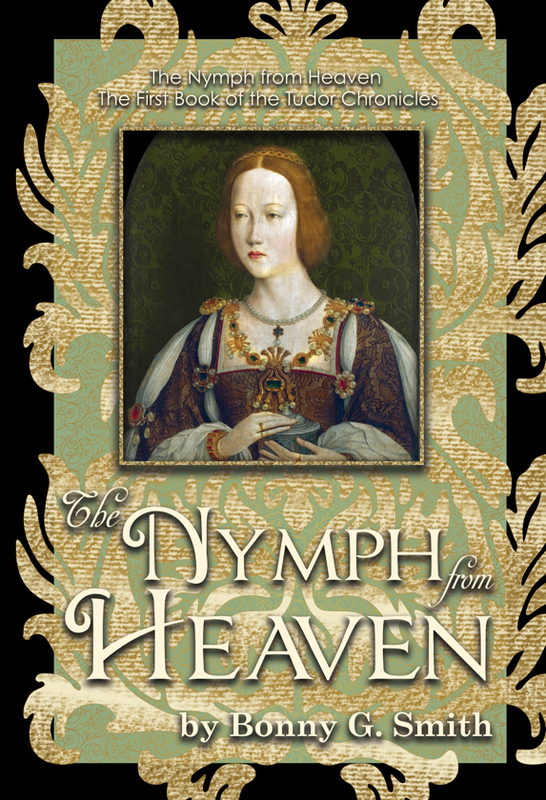 The Nymph from Heaven is a historical novel based on the life of King Henry VIII’s younger sister, Mary Tudor. Mary (not to be confused with her niece, “Bloody” Mary) graced the stage of European politics for only a few short years, but her story is a fascinating one. Born a beautiful princess into Tudor England in the late Middle Ages, Mary’s hand was sought in marriage from the age of three. But bound to duty by her high position, Mary knew that any match arranged for her would almost certainly take her out of England for marriage with a stranger in a foreign land. But Mary falls in love with a poor English knight, and is determined to marry him. Through many trials and tribulations, and against all odds, Mary marries her one true love. But the price may prove too high. The Baker's Daughter is now available for sale on Amazon in two volumes, in both eBook and Print on Demand versions. IN HIGH PLACES - The Third Book of THE TUDOR CHRONICLES is NOW ABVAILABLE FOR SALE ON AMAZON in both Kindle and Print on Demand versions! In High Places is the story of the epic power struggle between Mary, Queen of Scots and Elizabeth I of England, two queens, two cousins, two rivals, whose story has fascinated generations for almost five hundred years. But two queens could hardly have been more different. Mary, beautiful headstrong Mary, ruled with her heart, while Elizabeth, highly intelligent, clever and sly Elizabeth, ruled with her head. When Mary is finally forced to flee her own country, she makes a fateful decision and crosses the border into England. And thus began almost two decades of imprisonment at her cousin’s hands, and which finally resulted in her execution. The story of Elizabeth and Mary is not only fascinating history, it is a cautionary tale for the use…or abuse…of great power. 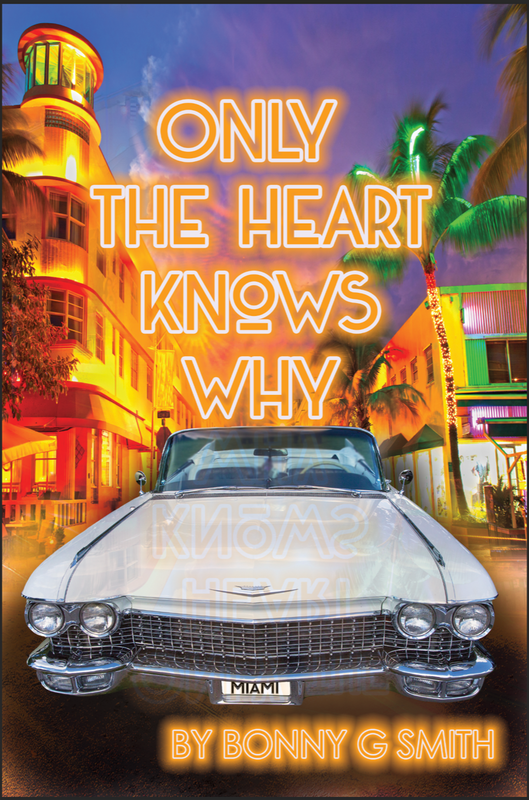 ONLY THE HEART KNOWS WHY - Only the Heart Knows Why is the story of a young girl growing up in steamy, exotic 1960s Miami. Norah Jane Edwards becomes the unwitting weapon of both parents in their bitter divorce struggle. This exciting coming-of-age story is slated for Fall 2018 publication! NOW AVAILABLE FOR SALE ON AMAZON in both Kindle and Print on Demand versions! DON’T HAVE TIME TO READ A FULL-LENGTH NOVEL?? – The Secret Lives of Inanimate Objects: Thirteen Tales of Murder, Mystery and the Macabre is just right for the reader who loves slightly twisted stories that can be read on the go! These tales cover several genres, including the supernatural, science fiction, time travel, fantasy and murder with a twist, but they all have one thing in common: they are bizarre. There is an overwhelming feeling at the conclusion of each story that we are glad it all happened to someone else…Thirteen Tales of Murder, Mystery and the Macabre is slated for Fall 2018 publication!